Laser Nail Therapy is a chain of medical clinics dedicated to treating nail fungus in a painless and efficient way. Our leading licensed podiatrists, state of the art facilities and uncompromising standards for excellence ensure that you will get the best treatment modern technology can offer. Click here to view research about discoloration of the nails published by one of our doctors. Customer satisfaction is our top priority. All of the doctors on our team have undergone rigorous training before starting to treat patients with the PinPointe Laser. We offer free initial consultations, where we explain possible treatment options, so you can make an informed decision. In addition, our facilities are open 7 days a week to accommodate your schedule. We have branches in many major cities including Los Angeles, Newport Beach, San Diego, Orange County, San Jose, San Francisco, Sacramento, Pasadena, Canoga Park, Las Vegas, Dallas, Houston, Austin, San Antonio, Manhattan, Queens, Miami Beach, Fort Lauderdale, Jacksonville, Tampa, Chicago, Cleveland, Atlanta, Philadelphia, Boston, Virginia Beach and Scottsdale. A consultation starts the treatment process. After establishing the diagnosis of nail fungus, the doctor will explain the symptoms, signs and progression, together with the treatment options. We would discuss your expectation of the treatment and likely results. Photographs are taken in order to monitor your results. The nails are thinned and tidied with a water based file to remove any thickening and fungal debris, and the laser treatment begins. The complete consultation and laser treatment typically lasts 1 hour or less to treat both feet. This is ample time to allow us to discuss the treatment, prepare the nails and use the PinPointe Foot Laser on the nails. The laser beam is applied in sequence over the nails several times. Since the method of treatment relies on vaporizing the fungus with heat, the nails will get warm during treatment. Since the laser beam targets the fungus, the heat in the surrounding tissue will be very low. Our experienced doctors will communicate with you during the treatment to ensure the heat levels are appropriate. After the laser nail fungus treatment, antifungal cream or spray is applied to the foot and preventive advice is given. Since fungal nail infections are caused by contact with fungi, care should be taken to improve levels of hygiene to prevent recurrence of the infection. We have several products we advise to assist in maintaining the long-term health of your feet. These include antifungal shoe sprays, athlete’s foot creams and antifungal nail polishes. 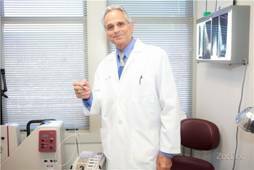 Dr. Michael Bilinsky graduated New York College of Podiatric Medicine in 1973. In 1976 Dr. Bilinsky relocated to Southern California, where he became Chief of the Department of Foot and Ankle Surgery at Westside Hospital, consulted to Blue Cross, and was featured on the TV show “That’s Incredible”. Currently Dr. Bilinsky is focused on treating resistant fungal nail infections using laser, and developing minimally invasive procedures for foot and ankle surgery. Dr. Stainkamp attended Temple University in Philadelphia, Pa. for both his undergraduate and Podiatric medical degrees. He has special interests in sports medicine-especially children’s sports injuries. Dr. Stainkamp is certified in both traditional and minimally invasive foot surgery, laser surgery, shock wave heel pain therapy and diabetic wound care. Dr. Upshaw completed his undergraduate degrees in biology, chemistry and psychology from the University of Southern Mississippi in 1974. Dr. Upshaw established his first office in Alhambra, CA in 1980. His Pasadena office was opened in 2009. He is an active member of the American Podiatric Medical Association, California Podiatric Medical Association and the Los Angeles County Podiatric Medical Society. Dr. Amir Dastgah received his undergraduate degree from University of The Pacific in Stockton, California. 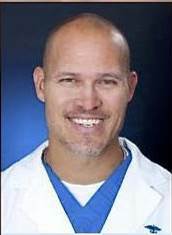 He earned his medical degree from California School of Podiatric Medicine and went on to complete four years of intense surgical training by some of the top doctors in the country. His rigorous, rare and extremely diverse four year surgical residency training, which less than five percent of all podiatrists have, has provided him the opportunity to be exposed not only to all aspects of foot and ankle surgery, but all facets of medicine. Dr. Brewer practices Foot and Ankle Surgery in the Phoenix Metropolitan Area. After receiving his degree in Podiatric Medicine in 2008, Dr. Brewer trained with top surgical specialists within Arizona. From sports injuries to diabetic wound care, Dr. Brewer is committed to the study, diagnosis, and treatment of disorders of the foot, ankle, and lower leg. At Oasis Foot & Ankle Center, Dr. Brewer dedicates himself to providing patients with optimal foot and ankle healthcare. Dr. Azar Dastgah graduated from California School of Podiatric Medicine at Samuel Merritt University. She went on to complete a comprehensive, three-year surgical residency at St. Mary’s Medical Center in San Francisco. During her training she had extensive exposure in the areas of Foot & Ankle Trauma, Sports Medicine, Wound Care and Limb Salvage. Dr. Dastgah’s interests are in elective surgery, foot and ankle trauma, sports medicine and wound care. She encourages her patients to be active participants in their recovery, emphasizing education and exercise as an important component to their treatment program. She is credentialed at Good Samaritan Hospital and El Camino Medical Hospital Los Gatos. Dr. Martin Miller has been practicing podiatry for over 30 years in New York. His background in biomedical engineering as well as podiatric medicine and surgery uniquely qualifies him to bring you this exciting new technology of the Pinpointe foot laser in his practice. Dr. Pesenko treats patients like family, not like numbers. He is very conservative toward surgical intervention; therefore the treatment of fungal nail infections with our pinpoint nail laser was the perfect fit for his practice. Dr. Warren is from West Palm Beach, FL and attended the University of Florida where she received a Bachelor of Science in Microbiology. She received her degree of Doctor of Podiatric Medicine in 1993 from Barry University in Miami Shores, FL. She completed an extensive 2 year surgical residency training program at Parkway Regional Medical Center (now Jackson North Medical Center) where she trained under podiatric, orthopedic, and vascular surgeons. Dr. Warren obtained a considerable amount of training in diabetic foot care, wound care and podiatric trauma. She is fully trained in all areas of reconstructive foot and ankle surgery. She has been in private practice since 1995 and has served as chairman of the Podiatric Department at Jackson North Medical Center. Dr. Karman is a highly successful and recognized Upper East Side of Manhattan foot care specialist. She is highly skilled in laser therapy for fungal nails as well as podiatric medicine and surgery. She has been a Diplomate of The American Board of Foot Surgeons for over 20 years. She has achieved excellent results in treating mycotic nails and is vigilant in patient education and re-evaluation to prevent recurrence of the condition. Dr. Bright Chen is a board certified foot and ankle specialist by the American Board of Podiatric Medicine. He completed a three-year residency training in Podiatric Medicine & Surgery with Reconstructive Rearfoot and Ankle Surgery Credential at West Houston Medical Center in Houston, Texas. Dr. Chen completed his undergraduate degree in Molecular & Cell Biology at the University of California, Berkeley. He then received his medical education from the California School of Podiatric Medicine, receiving a doctorate in podiatric medicine. His practice interests include musculoskeletal disorders, reconstructive surgery, and sports medicine. His practice philosophy is that medicine is simply allowing the body to heal itself and to promote methods in that regard. In addition, some conditions may not require surgery and conservative options are explored first. Dr. Chen is a former competitive-level gymnast, and understands the needs and concerns of of the pediatric and adult athlete. He is American-born of Taiwanese descent and speaks Mandarin Chinese. Dr. Stephen Chernick has over 30 years of experience in the practice of Podiatry. With offices in Forest Hills and Hempstead, New York, Dr. Chernick services the greater Queens and Nassau areas. As a trusted Podiatrist in the area, Dr. Chernick has extensive experience in treating most conditions specific to the feet. From diabetic care, to bunions and now expanding into the latest technology with the PinPointe FootLaser, rest assured he will address your specific needs. Dr. Mabo lived in Africa during her early years, and later on moved to Georgia where she studied and graduated from Clayton State University. She continued with her graduate education at Barry University in Miami Shores, Florida where she studied Podiatric Medicine. Dr. Mabo further pursued a three year Podiatric Medicine Residency Training with rearfoot accreditation at the Trinitas Regional Medical Center in New Jersey. After residency, Dr. Mabo and her family decided to return to Georgia, where they call home. Dr. Mabo is a very compassionate person. She has special interest in wound care, bunion surgery, diabetic foot management, hammertoe correction and sports injuries. During her leisure time, she goes swimming or playing basketball with her husband and kids. Dr. Mark Brim is a Doctor of Podiatry with over thirty years of experience in treating disorders of the foot and ankle in adults as well as children. He has a successful track record in treating onychomycosis with the Pinpointe Footlaser. He is also very experienced in treating foot complications of diabetic patients and specifically foot ulcerations. He also has special interest in bunion corrections. Dr. Brim is certified by the LA County, CA and American Podiatric Medical Association Boards as a foot surgeon. He utilizes the latest, most advanced treatments and procedures available today. 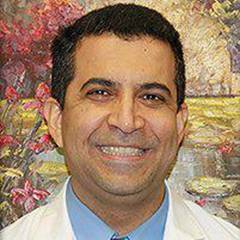 Dr. Sahand Golshan is certified by the American Board of Podiatric Medicine. Dr. Golshan offers an array of treatment options to help treat and prevent conditions affecting the feet and ankles, including athlete’s foot, onychomycosis (fungal nails), bunions, ingrown toenails, and diabetic foot pain. In addition, Dr. Golshan is skilled in sports medicine treatments aimed at helping athletes recover from injuries. Dr. Golshan completed his podiatric training at the California College of Podiatric Medicine and completed a three-year surgical residency at Wyckoff Heights Medical Center in Brooklyn, NY. He is deeply committed to offering customized care based on the needs and symptoms of every patient for optimal immediate and long-term relief. In addition, he is skilled in prevention strategies that can help patients of all ages, including patients with diabetes, enjoy better health, greater mobility, and an improved quality of life. Dr. Sung is a board certified by the American Board of Foot and Ankle Surgery, fellowship-trained foot and ankle surgeon that utilizes advanced techniques and state-of-the-art 3D printing technology for his patients. He focuses to return all of his patients to a high level of function, with an expedited recovery and positive long-term outcomes. Dr. Sung completed his fellowship at the ACFAS recognized Weil Foot-Ankle & Orthopedic Institute in Chicago, IL in 2011 after graduating as chief resident from the University of Pittsburgh Medical Center in 2010. 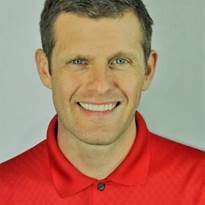 He is also a clinical instructor for the Loma Linda School of Medicine and a consultant podiatrist for the local Major League Baseball team. Dr. Andrew Harrison attended undergraduate at Cal Poly San Luis Obispo. He then attended four years at the California College of podiatric Medicine. After this he attended a one year surgical residency in podiatric medicine at Mission Oaks Hospital. He then performed a one-year Fellowship in podiatric medicine. Since 1992 Dr Harrison has been in private practice in the San Francisco Bay Area. He is on staff at the Regional Medical Center in San Jose California where he performs both for foot and rear foot surgical procedures. Dr. Lesley Wolff has been practicing Podiatric medicine and surgery for more than 30 years. He holds a master’s degree in Podiatric surgery. He is a Qualified Medical Evaluator for the State of California and has been an active staff member at St. Francis Memorial Hospital surgical staff. He graduated from the Ohio college of Podiatric medicine and completed 2 years of surgical residency at the top programs in the United States. Dr. Wolff is a highly regarded medical professional in the bay area community. Dr. Wolff was an adjunct professor at the California College Of Podiatric Medicine. He has been a co-director of the SF Marathon Clinic in the past, and is a runner himself. Dr. Wolff uses the latest technologies for the treatment of diseases, injuries and surgery of the Foot & Ankle including fractures. He is also a Certified provider for the FDA approved Pinpointe Laser for treatment of Fungal Nails. 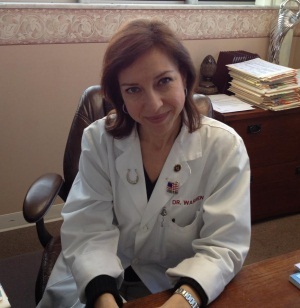 Dr. Diane M Trevino is a Podiatry Specialist in San Antonio, Texas. She graduated with honors from New York College Of Podiatric Medicine in 2001. Having more than 17 years of diverse experiences in Podiatry, Dr. Diane M Trevino is in private practice in San Antonio. Dr. Trevino diagnoses and treats conditions of the feet such as injuries of the foot, fungal nails, bunions, and athlete’s foot. The feet are key body parts that give a person stability, absorb shock, allow for walking and standing and are necessary for overall well-being. So, the feet need expert care. Dr. Trevino specializes in surgery, wound care, sports medicine, and diabetic care. Dr. Appel graduated from the New York College of Podiatric Medicine. She has been in private practice for 30 years. Also, has an office in Jackson Heights,Queens as well as the upper east side in Manhattan. Dr. Appel is board certified in Podiatric surgery. Dr. Appel’s and her staff pride themselves in having a small town feel in a big city. In other words, they spend time and listen to their patients. Each patient of theirs is very important and is always given the utmost attention and care. Dr. Appel’s offices are easily accessible by public transportation. 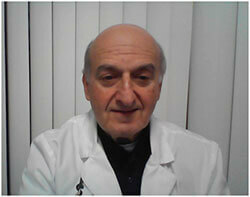 Dr. Vannucchi was born in New Jersey and was in Manhattan, NY. Prior to college, he was an Eagle Scout. Dr. Vannucchi received an academic scholarship to New York University and graduated with bachelor’s degrees in both biology and history. He received his professional degree from the New York College of Podiatric Medicine, and completed his postdoctoral studies at the College of Physicians and Surgeons of Columbia University. He completed a surgical fellowship at Fairfield Hospital in Shreveport, Louisiana. Dr. Vannucchi has been in private practice in Corpus Christi, Texas, since 1972, as well as Dallas, Texas, since 1997. He has authored papers and written many articles on foot and ankle disorders in many medical journals on rheumatologic, orthopedic, dermatologic foot and traumatic lower extremity injuries. He is currently licensed under both the Texas board as well as the Louisiana medical board as a foot and ankle specialist. His major interests include disease states with management for chronic and acute pain of the lower extremities, mainly plantar fasciitis heel pain, foot pain, sprained ankles, fractured bones and nail fungal problems. 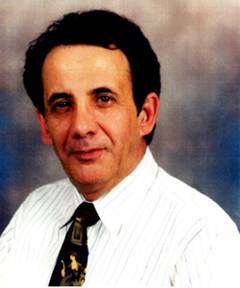 Dr. Vannucchi resides in Dallas, Texas, with his wife, Anne-Marie. Dr. Vannucchi’s personal interests include opera performance, travel, sporting events and swimming. Christine C. Clark is a practicing Podiatrist in Las Vegas, NV. Dr. Clark graduated from Ohio State University College of Medicine in 1983 and has been in practice for 33 years. She specializes in the prevention, diagnosis, and treatment of the foot, ankle, and related structures of the leg. Dr. Clark treats foot conditions including onychomycosis (nail fungus), bunions, hammertoe, plantar fasciitis, and neuroma. Benjamin Q. Le is a practicing Podiatrist (Foot Specialist) in Tampa, FL. Dr. Le graduated from Barry University School of Podiatric Medicine in 1990 and has been in practice for 26 years. Dr. Le also specializes in Foot & Ankle Surgery. He currently practices at Advance Tampa Bay Foot Medical, LLC and is affiliated with St Petersburg General Hospital. In addition to English, Dr. Le’s practice supports these languages: Spanish and Vietnamese. Babak Kaviani, DPM, is an experienced podiatrist specializing in foot and ankle health for the whole family. Whether he’s treating a newborn or a patient on Medicare, Dr. Kaviani offers an extremely conservative approach to treating a wide range of individuals and conditions in Austin, Texas. After receiving a medical degree from Iran’s Shiraz Medical School, Dr. Kaviani relocated to the United States to study podiatric medicine and foot and ankle reconstructive surgery at the Temple University School of Podiatric Medicine, where he received his degree in Podiatric Medicine in Philadelphia. Dr. Kaviani also completed a surgical residency in Los Angeles, California, where he focused on foot and ankle medicine and surgery. During his residency, he received the honor of being named Chief Resident of the Baja Project for Crippled Children. Taking part in surgical mission trips to Mexico, Honduras, and El Salvador fed his passion for charity work. Dr. Kaviani moved to Texas where he began practicing alongside his wife, Liza. His focus includes pediatric foot and ankle correction, sports medicine, and biomechanics. Dr. Kaviani truly cares about his patients. He demonstrates his love of podiatric medicine through his continued charity work and mission trips to Latin America. Everyone is welcome at his practice, where he treats people with diabetes and other conditions affecting an entire lifespan: infants to seniors. Dr. Kaviani is fluent in English and Farsi. 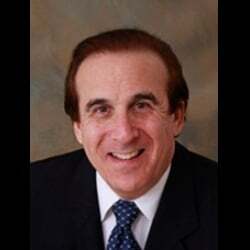 Michael D. Walinsky is a board certified Podiatrist practicing in Philadelphia, PA. Dr. Walinsky received this BSc in Pharmacy from Temple University and then proceeded to Temple University School of Medicine to receive his Doctorate in Podiatric Medicine in 1987. He also completed an orthopedic residency at the Guiffre Medical Center in Philadelphia. Dr. Walinsky has been in private practice for 31 years. He currently practices at Wynnewood Foot & Ankle Center and is affiliated with Mercy Hospital of Philadelphia. 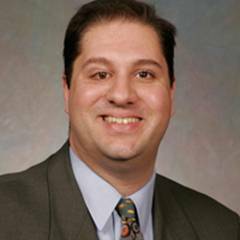 Dr. Joseph Murano is a podiatric surgery specialist in Medford, MA and has been practicing for 30 years. He graduated from Kent University in 1986 and specializes in podiatric surgery, podiatry, treating patients with fungal nail infections, and more. Dr. Sergey Losyev is a doctor of Podiatric Medicine and Surgery of the foot. He provides medical diagnosis and treatment of foot and ankle problems like sprains and fractures, bunions, heel pain, heel spurs, hammertoes, neuronal, ingrown toenails, warts, corns, fungal nails and calluses. Dr. Losyev renders care to majority of foot problems that a patient might have. He graduated medical school of New York College of Podiatric Medicine. 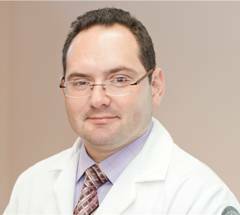 Dr. Sergey Losyev has been in private practice since 2002. He and his staff are dedicated to excellence in the practice of podiatry from palliative care to complicated wound care problems. Dr. Sergey Losyev has helped thousands of people in the community return to an active lifestyles through expert and gentle foot pain relief. He lives and works in the community and the podiatrists of choice for many local doctors. He is also on staff at New York Community Hospital, Beth Israel Medical Center and Surgery Centers in the New York area. Dr. Jay Seidel is an internationally renowned foot and ankle surgeon, who is published in multiple peer-reviewed medical and surgical journals. 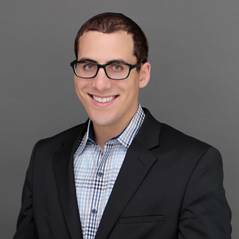 Dr. Seidel is a graduate of Temple University School of Medicine and completed a three year surgical residency, where he served as Chief Resident. During that time Dr. Seidel received additional certifications in Microvascular Surgery at the Cleveland Clinic and Limb Deformity Reconstruction at the Rubin Institute for Advanced Orthopedics. He has consulted with Medical Equipment Manufacturers, and helped design surgical instrumentation both in the United States and Europe. He has remained at the forefront of cutting edge technology and medical practice. 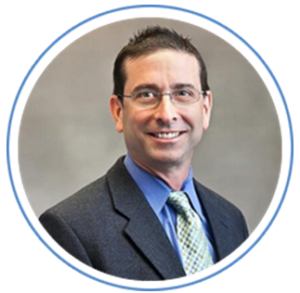 Dr. Seidel has served as Principal- and Sub-Investigator in multiple clinical trials in the Tri-state area. He has obtained NIH research certification and is currently involved in several ongoing clinical trials. American Board Of Foot & Ankle Surgery. He Is A Diplomate. He Was The Foot Specialist For The Nba Golden State Warriors & Atp Sf And Sj Ca Men’s Pro Tennis Tournament. Dr Carver Started The Baja Project In Mexico Where He Performed Gratis Surgery On Children With Congenital Clubfoot. Dr Carver Is In Private Practice In Friendship Heights- Nw Washington, Dc. 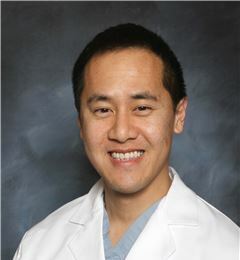 Dr. Huynh is board certified with many years of experience in foot and ankle surgeries. She attended Marymount University for her undergraduate degree for Molecular Biology, obtained her degree in Podiatry at New York College of Podiatric Medicine, with residency training at Washington Hospital Center and Georgetown University hospital for limb salvage. She provides excellent services for sports injuries, flat feet, foot fractures, ingrown toenail procedures, wart treatments, diabetic foot care and many more services. 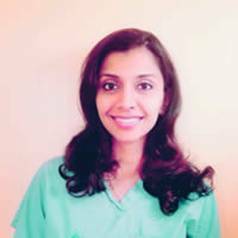 Dr. Bindu Mathew has received her undergraduate Bachelor’s degree from Villanova University and proceeded to Temple University School of Podiatric Medicine to receive her professional degree in Podiatry. She attended her residency at the Pinnacle Health System, Harrisburg, PA. Dr. Mathew is board certified foot surgeon by the American Board Qualified in Foot Surgery. 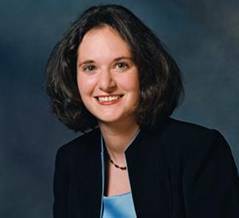 And her practice Interests include surgery and lower extremity wound care. Dr. Melanie Ladine specializes in the disorders of the foot and ankle. She is board-certified foot surgeon by the American Board of Podiatric Surgeons. Dr. Ladine’s goal is to provide compassionate, uncompromising excellence in foot and ankle care. 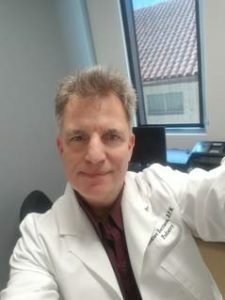 Dr. George Bochi received his podiatric degree from New York College of Podiatric Medicine in 1995 and completed his residency in the Los Angeles County University of Southern in 1997. He then relocated to Montreal, Canada. 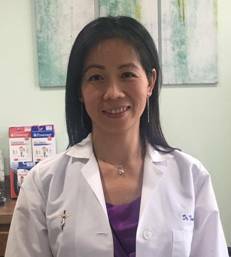 Dr. Bochi has been operating several successful clinics in the greater Montreal area for more than 15 years specializing in treatments of the foot and ankle and helping patients with treating onychomycosis (fungal nails) with laser technology. 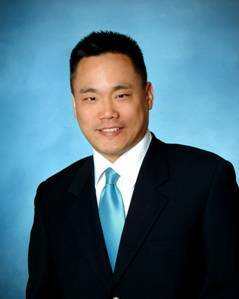 Dr. Cheng has called Texas home since 1984 and attended Plano Senior High School graduating in 1987. He received a Bachelor of Science in Zoology and a Bachelor of Arts in Psychology from the University of Texas at Austin. He then received Doctor of Podiatric Medicine degree from Temple University in Philadelphia. He also completed a one-year podiatric internship in New York City followed by a three-year reconstructive foot & ankle surgical residency in Los Angeles. Dr. Cheng will always approach treatment in a conservative manner until it is either exhausted or when surgery is determined to be the best viable option. New technologies such as laser treatments will always be introduced and implemented as part of his practice. He is a dedicated doctor whose philosophy to patient care is “patients are family” and healing begins with compassion and communication. Only then will the patient and doctor be partners on the road to ambulatory wellness. Dr. Gennady Kolodenker, DPM is a Board Certified, American Board of Podiatric Medicine, Sports Medicine and Surgery Fellowship Trained Podiatrist in Orange County. He specializes in complex and simple adult and pediatric foot and ankle surgery. Procedures range from laser treatment for nail fungus to joint replacement surgery. In addition, to practicing in private practice Dr. Kolodenker is also a Clinical Assistant Professor at Western University of Health Sciences. He is also a Qualified Medical Evaluator (QME). He completed a three-year surgical foot and ankle podiatry residency at University Hospital in Newark, NJ (UMDNJ). The UMDNJ residency provided Dr. Kolodenker with vast experiences in trauma, limb preservation, reconstructive surgery, and cosmetic foot and ankle surgery. He then continued his education with a four-year medical school training at Dr. William M. Scholl College of Podiatric Medicine. After graduating with a Podiatric Medicine degree, Dr. Kolodenker continued to residency. During residency, there was a vast experience in trauma and limb preservation. Working in an urban area like Newark, NJ there was a tremendous need to serve the underprivileged population. During his final year, he was named Chief Resident. Dr. Krywiak is a foot and ankle specialist and is a native of Ohio. She began her medical journey earning a Bachelor of Science degree in pre-med/biology at Notre Dame College of Ohio. Dr. Krywiak graduated from Ohio College of Podiatric Medicine and received surgical and non-surgical residency training at St. Vincent Charity Hospital’s 3-year program started by the late Dr. Yu. Her training extends to include wound care. Extensive surgical training was conducted at more than 10 hospitals and surgical centers in downtown Cleveland, Akron and surrounding area. 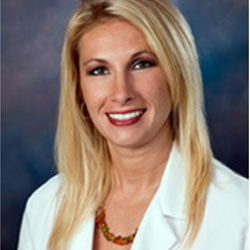 She has joined Premier Physicians in 2010. Dr. Krywiak’s passion has always been assisting people for life betterment. She has always had interest in a Mind, Body, Spirit approach and has now integrated this into her practice. She has been on a long mission, starting in college, with noticing how stress affects the body. After study with many mentors, which she still continues, she has learned and been certified in techniques, approaches and higher level teachings, that help clear the stress and change energetics in the body. She became certified in Functional Medicine through Functional Medicine University in 2015, addressing the root causes of diseases. She is also certified In Energy Mastery from Energetic Solutions Inc, and body, auric clearings through Illumination Academy, which further allows her to address the stress of the body, past traumas and emotions of clients to dramatically improve well-being and life force energy. She also has recently been certified in Educator/Indigo Biofeedback Therapy to train and assist the body in healing itself of many systemic conditions, allergies, chronic pain, stress, emotions and trauma. 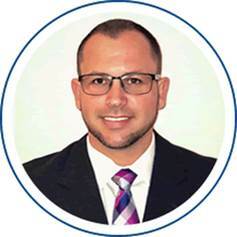 Dr. Quinn M. Fauria grew up in the San Fernando Valley and completed his training at the California College of Podiatric Medicine, earning his Doctor of Podiatric Medicine degree (D.P.M.). Board Certified in Foot Surgery by the American Board of Podiatric Surgery, he completed a post-graduate fellowship in Advanced Foot and Ankle Surgery. He is considered one of the most highly trained experts in this field with an emphasis on Minimally Invasive Procedures and Laser treatments. He has used the Pinpointe laser for the treatment of onychomycosis (fungal nails) since its inception these past 10 years. He is experienced in treating sports injuries and has consulted with NFL football players regarding their injuries. Dr. Keith Arbuckle was inspired to become a Podiatrist by a local podiatrist who was able to help patients so that they could leave the office with their issues addressed right away, often walking out the door pain-free. His biggest passion at work ist to fully understand patient symptoms and finding the best treatment for each individual. Dr. Arbuckle completed his graduate school locally at Midwestern University in Glendale with a degree in Podiatric Medicine. This was followed by residency training in his hometown of Minneapolis, Minnesota. Then, he completed a one-year fellowship in Chicago. Dr. Arbuckle has also completed research on foot and ankle disorders including bunions and onychomycosis. In his spare time, he enjoys being out with his family and also loves mountain biking. 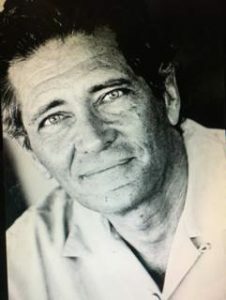 Dr. John Northrup was born in Fort Lauderdale, Florida and spent a significant portion of his adolescent years split between south Florida and St. Augustine, Florida. He is a military veteran who spent 6 years in the United States Navy. He completed his undergraduate studies at Florida International University in Miami, Florida before earning his Doctoral degree from Barry University School of Podiatric Medicine in Miami, Florida. Dr. Northrup then went on to complete an extensive 3-year surgical residency at Northwest Medical Center in Margate, Florida. At Northwest Medical Center he received comprehensive training in elective and non-elective foot and ankle surgery, reconstructive surgery, sports medicine, and diabetic limb salvage. Dr. Northrup specializes in conservative and surgical treatment of many conditions of the foot and ankle. He is a member of the American College of Foot and Ankle Surgeon, Florida Podiatric Medical Association and American Podiatric Medical Association. In his spare time Dr. Northrup enjoys doing crossfit workouts, traveling, and spending time with his family. 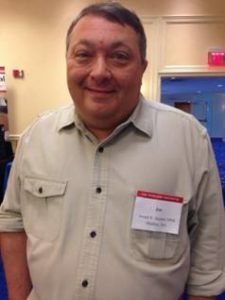 Dr. Mark E. Spier attended the University of Maryland College Park where he majored in Microbiology for his undergraduate studies. He then attended Temple University School of Podiatric Medicine, where he received his Doctor of Podiatric Medicine (DPM). After graduation, he completed surgical residency at Lutheran Hospital of Maryland. Dr. Spier is board certified in forefoot and reconstructive surgery by the American Board of Foot and Ankle Surgery. He is also the first certified PinPointe Footlaser provider in Baltimore. He has hospital affiliations with Northwest Hospital Center. Dr. Spier specializes in PinPointe laser.